A simple search on Google will list you a plethora of coworking spaces Irvine. But finding the best coworking spaces in Irvine is the real challenge. Irvine is home to a number of corporates, especially from the tech and semiconductor industry. Besides UC and Pepperdine University campuses. Making it the hub of fresh minds that have it in them to take risks with their ideas. So naturally, coworking, being healthy for the entrepreneurial startup ecosystem came into the scene. But it brings along the dilemma of identifying gems from rocks. But if you continue reading, things ahead will look much rosier ahead. When looking for among the coworking spaces Irvine, it is important that they are flexible, supportive and definitely not overcrowded. While most spaces do advertise on these lines, only a few stand true to the test. In fact, Irvine is a city built upon a master plan. So the resident entrepreneurs must also have a master plan as to which coworking space will match their needs best. 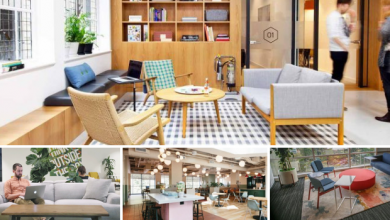 For this, we have shortlisted Irvine’s best coworking spaces for you. So now you may jump straight from the searching stage to the finalizing step. You are Welcome! 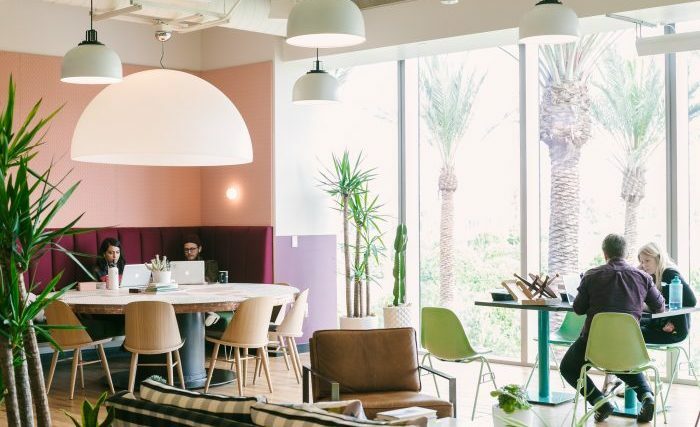 With three premium locations in the heart of Irvine, WeWork tops the list of best coworking spaces Irvine. And not just the locations, the facilities too, are top notch. This global coworking giant is also providing round the clock access to entrepreneurs and startups. Especially in Irvine, all locations have glass exteriors bringing in plenty of natural sunlight. And are close to major hubs of fine dining eateries. 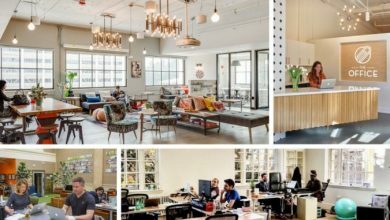 WeWork, in fact, is the space where you get the constant motivation to excel as well as impress your clients. Perks: They have hot and dedicated desks beside, private office spaces. In addition to mail handling, private phone booths, event spaces, and gorgeous lounges. Plus, they have partnered with Craft on Draft, that provides locally crafted beverages, from Tea and Coffee to Kombucha. Besides, the fresh fruit water is a delight. Prices: The prices are different for the facilities at the three locations of this Irvine coworking space. Flexible hot desks are available at the starting price of $370/ $410 per month. While the dedicated desk, which is available only at 200 Spectrum Center has the starting price of $550 per month. Contact: You may contact WeWork on their toll-free number 1800 123 365 365 or send an email to joinus@wework.com. 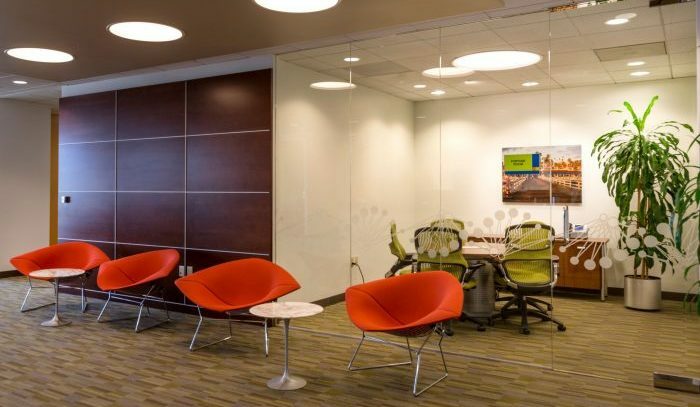 Regus is another great global coworking player, that deserves a place among Irvine’s best coworking spaces. It has six office locations in the city of Irvine, and many more around it. They provide flexible workspaces to not just entrepreneurs and startups, but also many top MNCs. You will also get access to the global Regus community. The contemporary and classic interiors are more than inviting. And also allure members to get back to work every next morning. Perks: Regus offers coworking spaces Irvine, in addition to meeting rooms, business lounges, private offices, and even virtual office services. Most locations are disabled friendly, have onsite cafe/ kitchen space. Besides gyms, bike racks, showers etc are additional perks, though they are not available at all the locations. 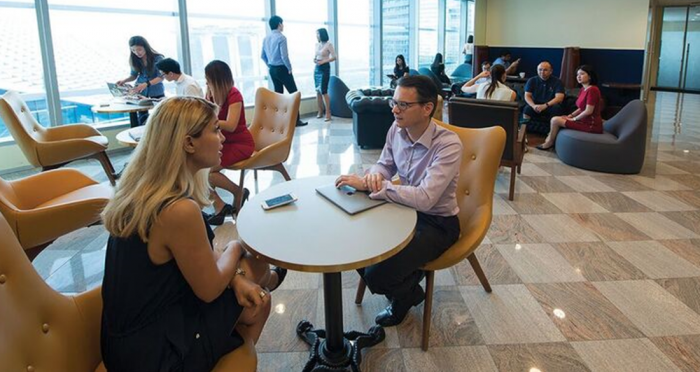 Prices: Coworking at Regus may start from $112 per month. While at $93 per month, you can get access to only their business lounges. And private offices price starts from $207 per month. Please note that prices may vary for different locations. So these are just for an idea. Contact: To contact Regus, call on their number 1855 400 3575. A space that ranks high on elegance, comfort, and quality, Industrious stands true to its name. The interiors ooze off a distinct character, and the gorgeous plants fill it with all the energy-giving oxygen. 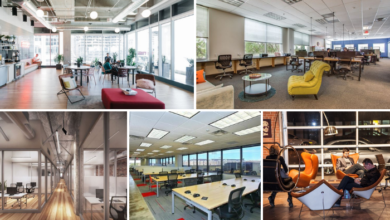 Apart from Industrious Irvine, there are around 27 more locations of this coworking group. And this location features among the best coworking spaces Irvine. Perks: The level of hospitality of Industrious Irvine are unbeatable. Be ready to treat yourself with traditional French cuisine from Champagne Bakery and fine coffee from Portola. In addition to, wholesome snacks, wine tastings, and many more similar networking events. If you are looking for a vibrant and chic workplace, Industrious is your go-to destination. Prices: Price for accessing the common coworking area begins from $459 per month. 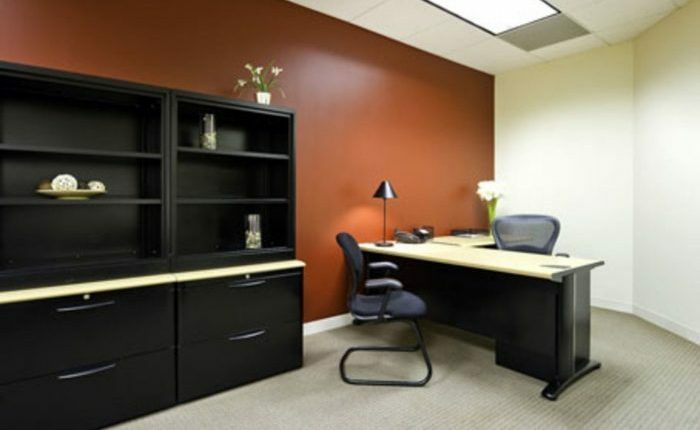 While you may hire a smaller private office space at the monthly starting price of $887. On the other hand, you may also choose even bigger spaces to work from. Location: Industrious Irvine is located at 3333 Michelson Drive, Suite 300 in Irvine, California. This Park Place building has a beautiful courtyard, along with dry cleaning and car wash facilities, onsite. 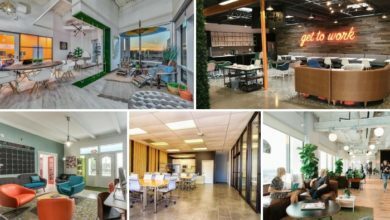 It has truly earned its space among Irvine’s top coworking spaces. Contact: Call at 949 936 2535. 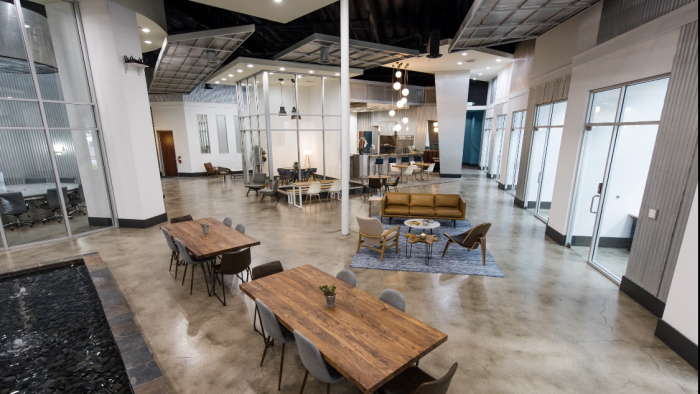 Or send an email to info@industriousoffice.com for any queries regarding this awesome Irvine coworking space. Have a brilliant business idea but don’t know where to start? Come to the Eureka Building and a crisp bright light bulb will shine over your head. This space boosts off its wide diversity of members. From thinkers and doers, coders and designers, this Irvine coworking space is a haven for digital nomads. At the spacious Eureka Building in Irvine, you will find the creativity and collaborations soaring high. Perks: Super fast wifi and spaces for conference, kitchen and lounge areas are some additional perks of Eureka Hub. They even have pods of varying capacities. And the best part, their annual Eureka Fest is a leading tech entrepreneurial event in the entire Orange County. And it is replete with music, dance, orations and of course networking. Making it one of Irvine’s best spaces for coworking. 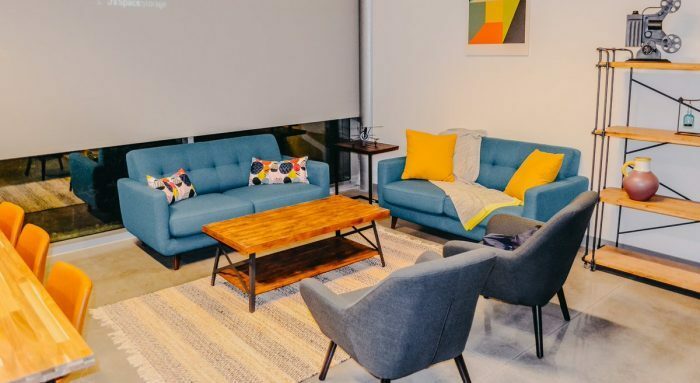 Prices: The most flexible coworking plan comes at $25 for a day pass. While for a monthly round the clock access the fee is $299 per month. And if you wish for a permanent desk, it will be granted at the monthly cost of $499. Besides, access to private office space is possible for the fee of $99 per month. Location: 1621 Alton Parkway in Irvine is the location you need to visit. So, book a visit to be a part of this awesome coworking space in Irvine city. Contact: You can reach out to the Eureka Building by calling at 949 220 6500. Alternatively, you may shoot an email to info@eurekabuilding.com. Working at Carr Workplaces combines work with luxury. And they are so hospitable, that you must be ready to be pampered as well as impressed. The beautiful decor that sets the tone high for innovations and creativity. This coworking space Irvine is one the best for having a perfect work-life balance. Perks: The perks of this space include the availability of professional support staff. Also, their location is very convenient to reach and around multiple bars and cafes. Their spaces are ready to move in and available on flexible terms and prices. Besides, the events are great for networking. Prices: Coworking here starts from the price of $25 for a day pass. Monthly plans, on the other hand, include $35 as starting price for 3 hours per day access to hot desks. Along with $299 starting price for around the clock access to hot desking. 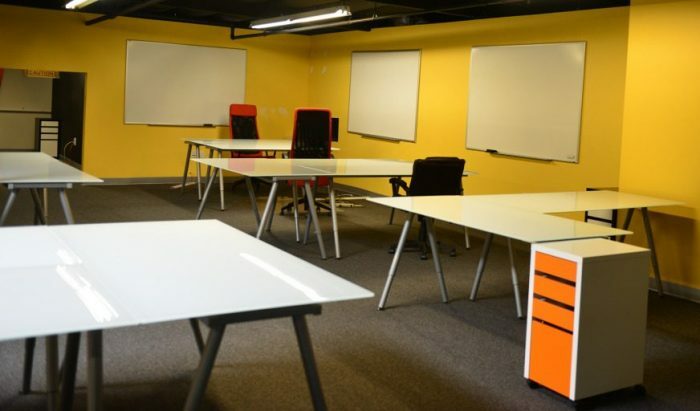 Dedicated desks are available for the monthly cost of $440 per month. A day office is also hireable for the price that begins for $35 per hour. For a month’s office rent, you will have to shell out more than $243 per month. The virtual office plans start at $80 per month. Location: Carr Workplaces coworking spaces Irvine, is located on the 9th floor of 100 Spectrum Center Drive. 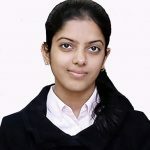 Contact: For any queries call at 949 936 2600. 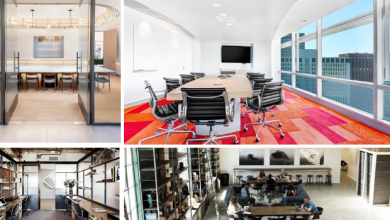 Residing right in the business district of Irvine, Servcorp deserves a mention among the top coworking spaces Irvine. Moreover, the building is a premium location to work from. As many big financial and tech corporates work from its vicinity. Perks: This space is full of perks. To list a few, it has reception service, lockable storage, bike racks, kitchen, mail handling, meeting spaces, projectors, showers, etc. Besides, an endless supply of coffee from the onsite cafe, wellness spaces and magnificent window views from multiple desk spaces. Prices: Hot desks are accessible here for the price of $300 per month. While dedicated desks come with a price tag of $450 per month. Though you can even for the general membership for $50 per month, which gives you access to its spaces. Also, the office spaces costs start from around $1,320 per month. 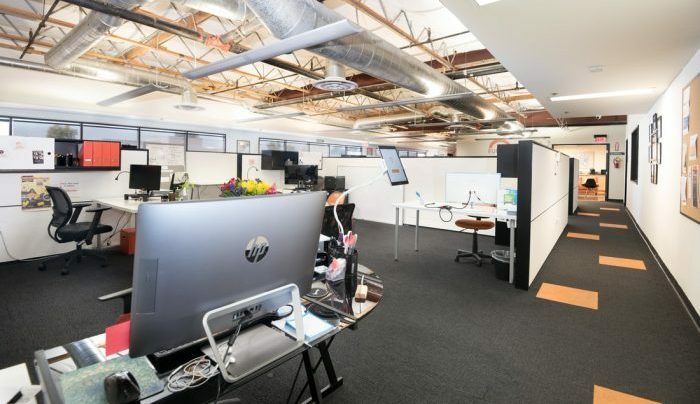 Location: Servcorp’s Irvine coworking space is located at 18100 Von Karman Avenue, Suite 850. Contact: To get in touch with Servcorp Irvine call at their number, 949 793 9299. Innovate OC is a not just a coworking space Irvine, but a complete ecosystem for all things startups. And for making things happen, they bring together entrepreneurs, mentors, investors, and educators together, at one place. Moreover, they are close to many restaurants and retail stores, apart from John Wayne Airport. Perks: Superfast internet, ergonomic workstations, kitchen with fridge, microwave etc, and 24/7 access are some of the basic perks here. In addition, you will also get access to conference rooms, in-house legal counselors, and also the community via networking events. Prices: They have a very simple pricing model. 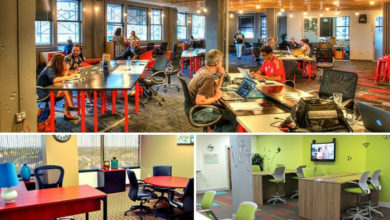 As the coworking area at Innovate OC is accessible for the price of $250 per month. Locations: The Innovate OC is located at 9277 Research Drive building in Irvine. Contact: To contact Innovate OC call at 877 277 3764. Or you may also send an email to info@innovateoc.com. 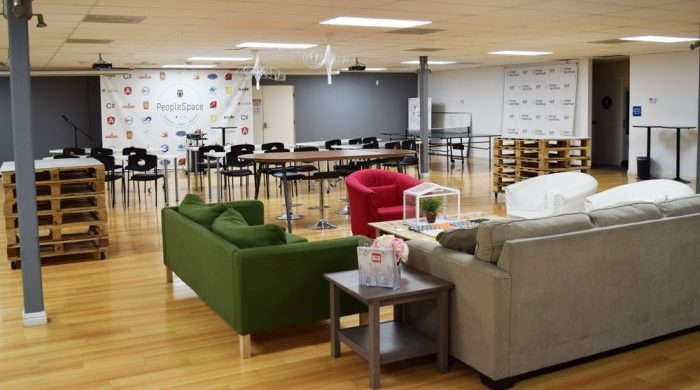 PeopleSpace Irvine is both a coworking space and incubator. A not for profit organization, supporting startups and creating jobs is their primary objective. Unlike other coworking spaces Irvine, it has the perfect location, people, and community. There is so much you can learn at this amazing space in Irvine. Perks: Perks here are aplenty. All members get to enjoy limitless access to free coffee and tea. While all of the monthly memberships are inclusive of free access to the conference rooms here. Plus you can also avail mail handling and catering services. Comfortable couches in the lounge area, bar chairs, and desks, etc make working fun and easy. And if still fatigue gets a hold on you, a game or two with a coworker will shoo it away. Prices: Getting access to coworking here is possible with a single day pass of $20 per day value. For full month 24/7 access to hot desks, you will have to shell out $175 per month. While a dedicated desk can be reserved for $275 per month, along with round the clock access. And if you need a full-time private office space, contact them with your requirements. Location: The address od PeopleSpace is 1691 Kettering Street Irvine, California 92614. Contact: Call at 949 381 1570 for more info about PeopleSpace. Workwell has one of the most beautiful spaces in the city of Irvine. The decor is spot on and so are their amenities. Apart from round the clock access to its Irvine coworking spaces they also offer virtual office services. And of course, if you have a close-knit team a comfy little space just for your crew is also viable. So to be or not to be a regular here, you can always take the benefits of their premium address. Perks: They have a commercial kitchen on site, along with private phone booths, and printing stations. Their meeting rooms have all the tech gear you may need and the internet speed is first-class. Though the best perk they offer is that they are pet-friendly. Prices: You may hire a flexible hot desk here for a monthly fare of $300. If you need a spot of your own, get a dedicated desk for $550 per month. While if you love that comfy couch at home, get a virtual office membership for $100 per month. And you are ready to go. Location: Workwell is located at 17322 Murphy Ave, in Irvine, California. Contact: To get in touch with a Workwell exec, ring the number 714 980 2994. Or you may choose to leave your message at hello@workwelloc.com. Intela Hub is a smart Irvine coworking space. Its astounding design and decor are enough to enthuse innovation and productivity. Along with offering coworking spaces, Intela Hub Irvine is also home to a Big Data Education Center. This spot in Irvine is the perfect host to all those interested in tech, innovation, and startups. Perks: There are many benefits of being a part of this coworking space Irvine. You will get access to multiple members events, workshops, seminars, and brainstorming sessions. In addition to gourmet tea, coffee, and other beverages. Plus their spaces are accessible 24/7 along with their free parking spaces. Prices: The common coworking area is available for $195 monthly fee, but only during business hours. For 24/7 access to this same area has the price tag of $245 per month. While personal desks have a price of $375 per month. And if you have a team of eight or less, grab a private office space for $1,495 onwards. Their tech equipped meeting rooms are hireable for an hourly rate of $50 per hour. On the other hand, you may also host events here at the cost of $195 per hour. Location: Touch down at 25 Edelman, Suite 100, Irvine for all things coworking. Contact: To reach out to the Intela Hub coworking space in Irvine, give a call at +1 866 746 8352. Or you may drop a line at info@intela-hub.com any time. It was important to list the best coworking spaces Irvine as the city is a fast emerging hub for entrepreneurs. It has the benefit of being close to an international airport, which is the Los Angeles Airport. Besides other mediums of transportation. And with companies like Allergan, Mazda, Kia, Samsung, etc, calling it home, there are immense opportunities on its ground. So it is important to choose the best of the coworking spaces Irvine to be a future-ready venture. And now that you have read them all, there’s one little step left for you. 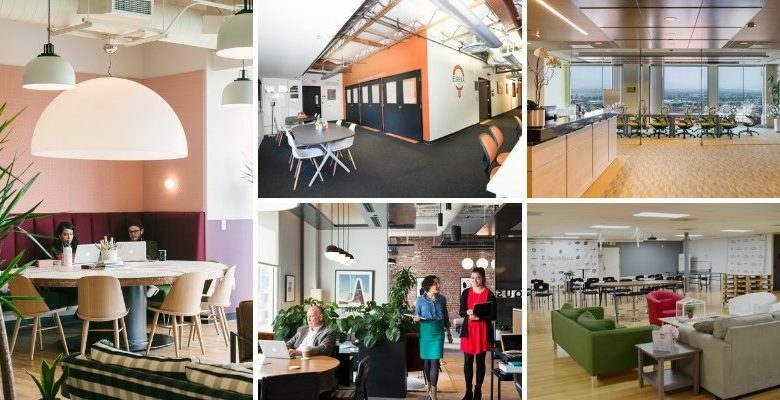 Pick the one that best fits your bill, and then schedule a visit to your future workspace. Best wishes!